The first day of cycling lessons we met our two teachers, Ruth and Michelle. We learnt what the parts of the bike are and all about the M check. We learnt how to put our helmet on the right way. We then went out to the yard, we got into pairs and picked a bike that we would use for the next six weeks. We then started to do a few drills like stopping when on a minor road going into a major road. Then after an hour outside we came in to talk about what we had done. We did two hours the first day. The second day of the six week course was only an hour. We went straight outside, we had a race, Ruth’s Group against Michelle’s Group. Who could put their helmet on the fastest. After the race we got into our pairs again, picked the bike that we had last week and did an M check. We did signalling on major and minor roads. We then went in and looked at what clothes you should wear in different weather conditions. The third day was an hour long again. We looked at signs that you come across when cycling on the road. 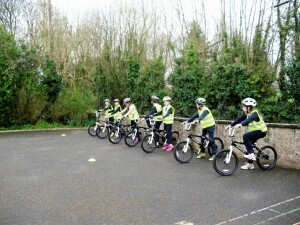 Then we went outside to do an M check, put on our helmets and did drills with stop signs. On day four we looked at lorry’s blind spots when on the road. We did a few more stopping at stop signs and signalling out in the yard. On the second last day we did a course that Ruth and Michelle had set up, it included everything we had done from the first day of the course. 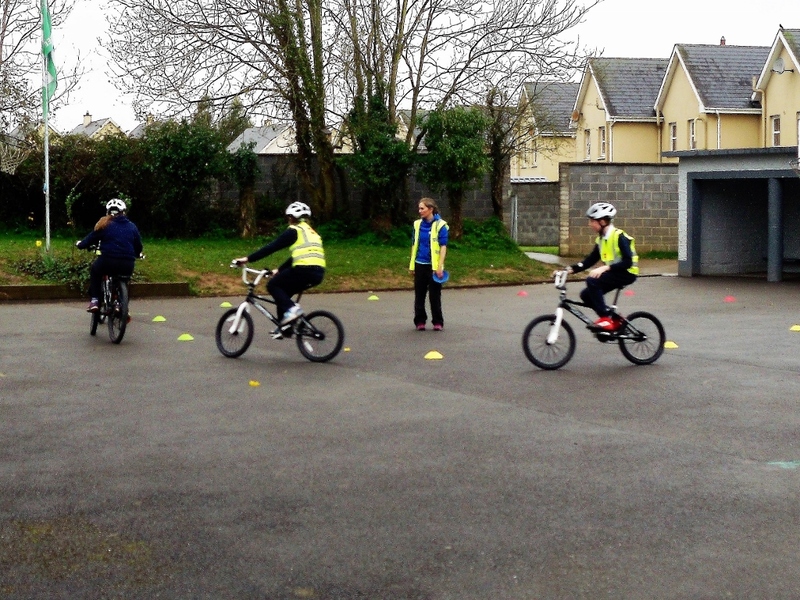 On our final day of cycling we went out to Cluain Na Rí and practised stopping when there was a stop sign. Everything came together when we went out to Cluain Na Rí. 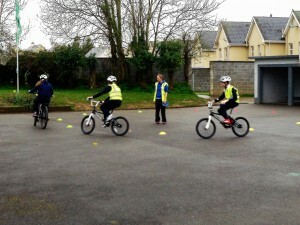 I really enjoyed the cycling lessons over the last six weeks. I learnt about lorry’s blind spots and lots of other things from our lessons. On Wednesday 17th of May 5th and 6th class went to Churchtown to play a hurling blitz against Churchtown N.S. and Araglen N.S. Our first match was against Churchtown N.S. and we lost that match. Straight after we played Araglen N.S. and it was neck-and-neck until Araglen scored two points. We lost by two points. After that we packed up and watched a bit of the Araglen N.S. and Churchtown N.S. match. Churchtown N.S. were winning by a lot before we headed back school. We arrived home at 2 O’clock.